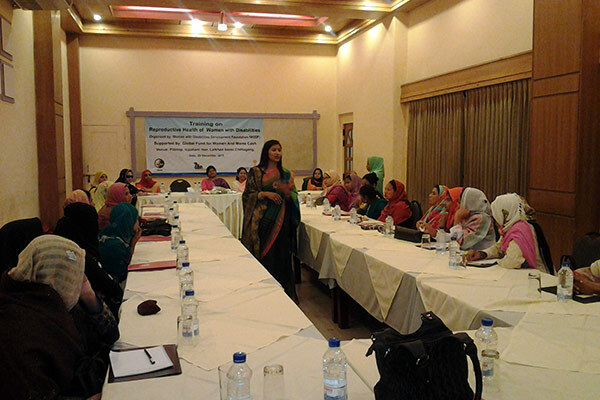 Women with Disabilities Development Foundation (WDDF) organized “Training on Reproductive Health of Women with Disability” on 22 December 2015 at Pitstop, Chittagong with the support of Global Fund for Women and MamaCash. 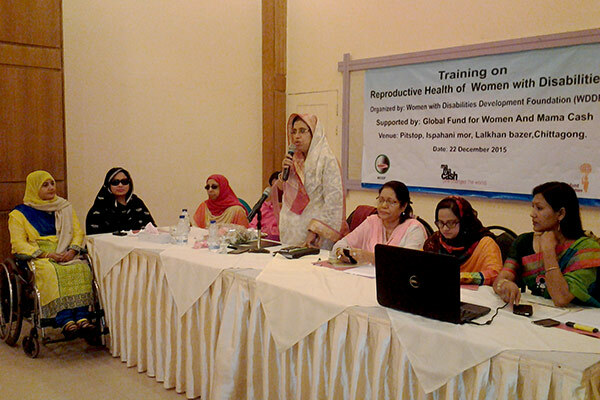 Abida Azad, Councilor (Reserved for Women), Chittagong City Corporation was present as chief guest and Paruma Begum, social service officer of Chittagong Medical College was present as special guest in the workshop. President of WDDF Shirin Akter gave welcome speech and Executive Director of WDDF Ashrafunnahar Misti presided over the program. The training workshop was facilitated by team leader of YPSA Khaleda Begum; program officer of YPSA Farhana Iddris and Sadia Tajin.